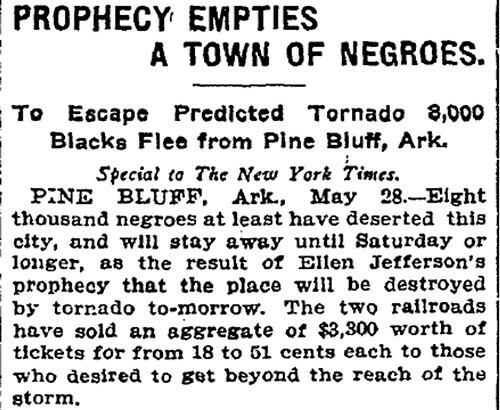 New York Times, May 29, 1903. Union activity was strongly discouraged among the black proletariat of the New South, but that doesn't mean the latter didn't occasionally orchestrate a spontaneous work stoppage. I was hoping to find that a huge twister cut through the town like God's own router the following day, but alas the prophecy was unfulfilled. 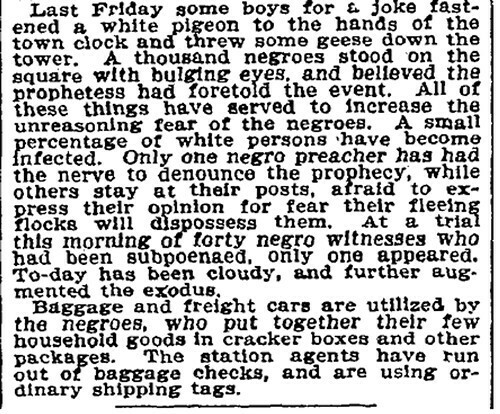 You just don't see race reporting like this in the Times anymore, what with the "bulging eyes" and "unreasoning fear" and whatnot. 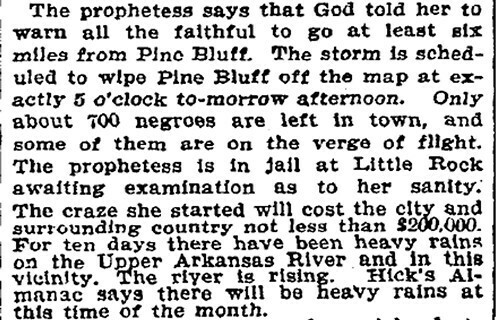 Anyway, it wasn't like the white Arkansans were immune to hysteria back in the golden of the Southern-fried lynching.